Owing to our sincere business standards and transparent deals, we are steadily making our way to the platform of success by offering Optical Instruments. Our offered optical instruments are acclaimed in the market for its user friendly nature. These optical instruments are examined on numerous parameters for supplying an excellent range. Provided optical instruments are manufactured with better quality basic material under the direction of accomplished professionals. Offered optical instruments are accessible in different stipulations to meet the exact requirements of the clientele. 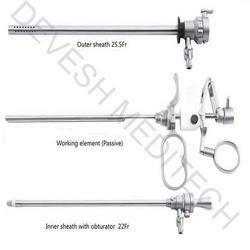 We are the noteworthy enterprise, extremely in offering superior quality Resectoscopy Set. Comes fitted with a very efficient and fully functional model, this product is precisely designed at our premises by utilizing quality tested material & latest technology. The offered product is checked on several defined parameters for assuring its flawlessness. 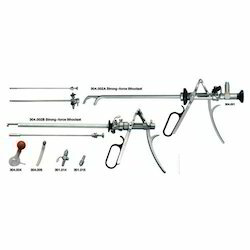 We offer this product in numerous models & other related options to choose from. 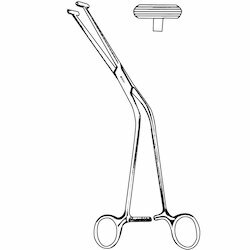 We have achieved a renowned and distinct position in the market by offering a supreme quality Resectocope Working Elements. 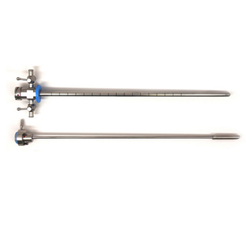 Our offered product is used for complex dilation in the segment of the ureteric prior to urethroscopy. Along with that, the entire range of product is tested by a team of quality experts on diverse parameters to deliver flawless range to the clientele. Customers can avail this product from us at nominal rates in a given time frame. 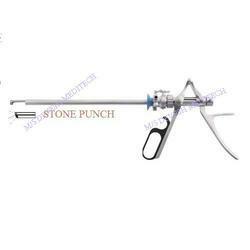 The working element comes utilized for complex dilation in the segment of the ureteric prior to Urethroscopy and stone-manipulation. Our output comes utilized with a variety of systems that find utility with 0.038" length 22 cm diameter. We also sell at very reasonable prices and make use of the best in terms quality checks. 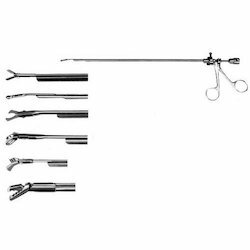 Urology Instruments offered comprises a wide range of options including endoscope, working element, outer sheath, electrode, high frequency cords. 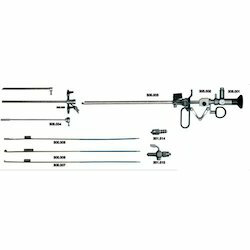 Urology Optical Instruments with the assistance of our diligent team of professionals, we are offering our clients a quality range of URS / Cystoscopy Grasping Forcep/Scissor. These are manufactured using high grade raw material to ensure that the end product is durable and sterile. 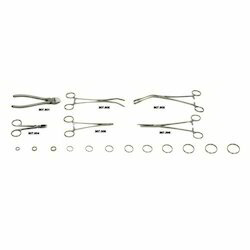 Our range is widely used in medical fraternities and hospitals for surgical purposes. 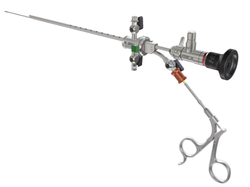 Our company has gained immense accolades in the field of offering Cysto Urethroscope to the clients. This product is used in various nursing homes and hospitals. 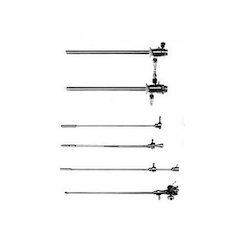 Cysto Urethroscope is tested against numerous quality parameters to achieve the predefined quality norms. This product range can be avail in various specifications and can also customize as per need of valuable clients. Applications - various nursing homes and hospitals for any Surgery. Size - All size 16.5 to 25 Fr.